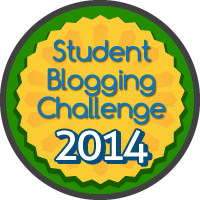 Reading to Dogs at Venice Public Library | Hey Kids! 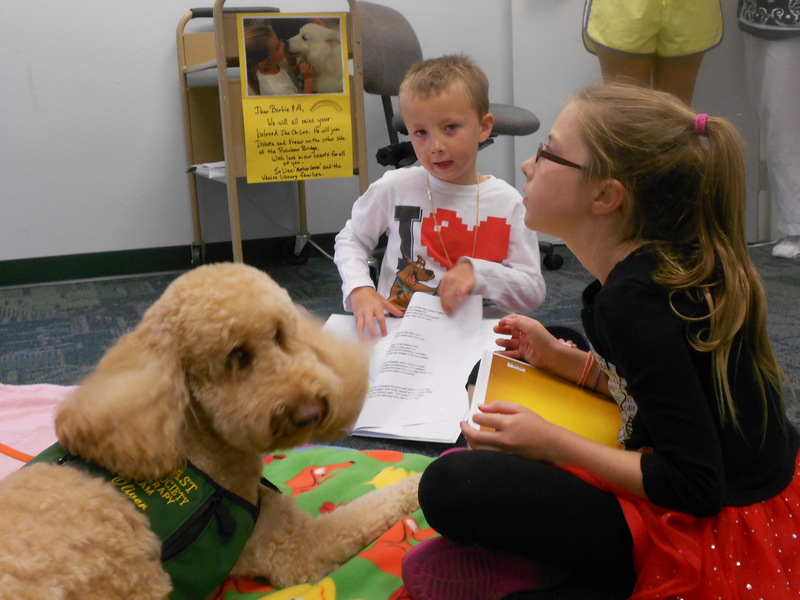 Gracie and Jack read books their classes authored and illustrated to Oliver, a Suncoast Humane Society therapy dog, at the Venice Public Library. Ellie reads her class book, “Unique as a Snowflake” to Scotty, a Suncoast Humane Society therapy dog, at a recent Reading to Dogs event at the Venice Public Library. Thanks, Heather. 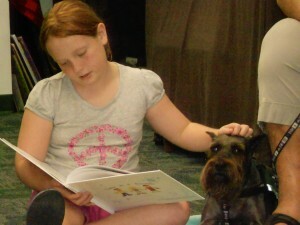 Ellie is what I would call a “reluctant reader” so this was a great activity for her as she LOVES dogs. She would have stayed with Scotty for hours reading and petting. Thanks for visiting us!! !